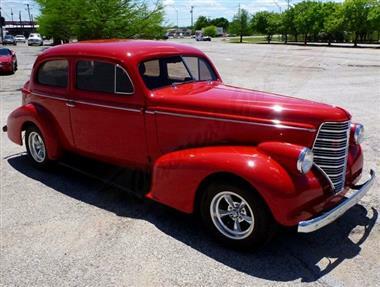 1938 OLDSMOBILE Other in Arlington, TX for sale. 1938 Oldsmobile Humpback Sedan Talk about rare and unique! 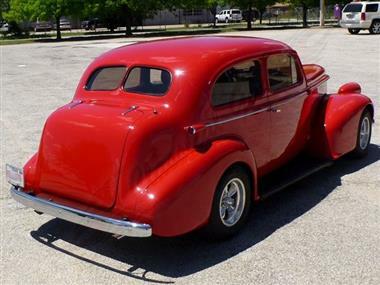 This 1938 Oldsmobile Humpback is surely something you dont see everyday! 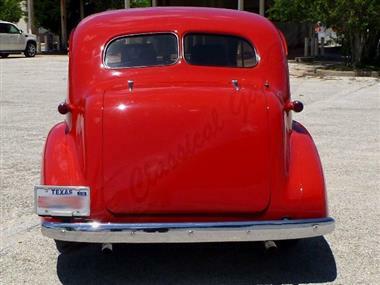 The long hood, unique front end, 2 door body, split rear window and humpback rear all work together to create one cool look that always stands out from the crowd. Painted in a nice Red paint the car has a great shine. Chrome bumpers are in place and the car is also accented by stainless side trim and a nicely chromed grill. A 2 piece windshield is cleanly mounted up front and all the glass is in good shape. 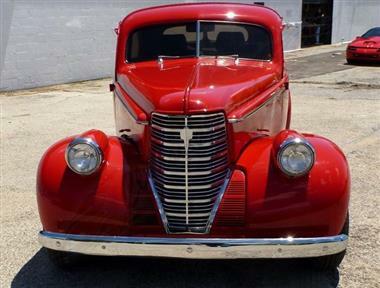 As the forties approached headlights started to become more incorporated into the fenders and although these have that molded in look they still retain the classic 30s styling. 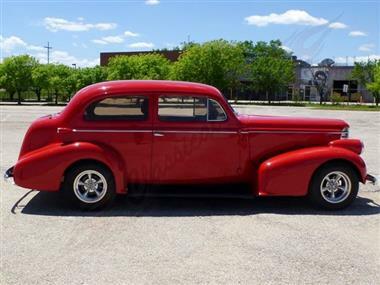 Incorporating a bit of street rod flavor into that classic exterior are the aftermarket wheels mounted on all four corners. Originally fitted with inline motors rated with a horsepower in the 100s these cars certainly werent considered the most powerful out there. 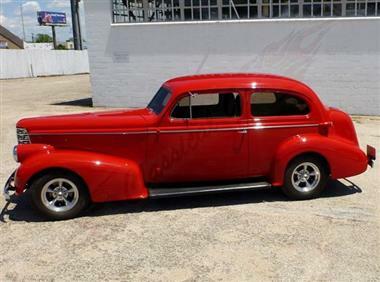 Well this car takes the beauty of the original and combines it with an updated drive train that not only performs well but is very reliable. Powered by a LT1 motor this classic gets those wheels turning with the HP originally intended for the 1993 Corvettes! 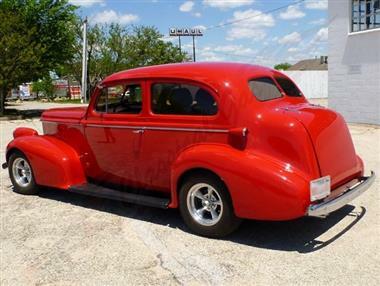 It starts up well and moves down the road comfortably. The motor has been dressed up with billet valve covers, billet wire looms and matching Red fuel rail covers. Backing up the engine is a 700R4 automatic transmission with overdrive so highway driving is just as smooth as around town. Other nice upgrades include the front disc brakes, power steering, power windows and a 69 Camaro front clip. The car was just gone through mechanically and had multiple things replaced. This includes the fuel lines, sending unit, fuel gauge, ignition switch, optispark unit, shocks, thermostat, spark plugs, 02 sensor, and fuel pump. The brakes and front end were also entirely rebuilt. The interior has also been modified with driving comfort in mind to incorporate more modern high back bucket seats and a modern steering column. It is done in Grey upholstery that is all in good shape. The dash is topped with aftermarket gauges and also features the Vintage AC/heat, Kenwood stereo and tachometer. Through the floor you will find a Lokar shifter that moves through the gears smoothly. The trunk is finished out in Grey as well and is where you will find the gas filler and battery. 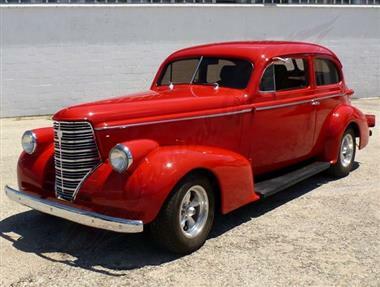 This cool classic has a lot to offer. A rarely seen vintage Oldsmobile exterior with a modern drivetrain and all the comforts. Give this Olds a new home for $31,000.00!